Coming from a i5 2500k and a noisy, very hot HD7950 crossfire setup, i figured its time for a new build. This is my new Z170 gaming rig, based on the new ROG Maximus Hero VIII color theme (Black/Grey/Red). I tried keeping it as clean as possible, i am not a fan of LED and other blingbling at all. The rig is currently running on 4.5Ghz at 1.31v and she seems stable so far, obviously i haven't had the time to really stress-test yet so that will happen in the following hours/days. From 4.5Ghz, i try to work my way up and we will see where this journey ends. The GTX 980Ti runs stable on ~1450/7500 (ASIC 77.2%) with some added voltage, the plan for the future (somewhere in the next couple months) is to add another GTX 980Ti. I replaced the stock BIOS on my EVGA GTX980Ti with a custom one that removed the throttle, boost and increased the voltage/powerlimit a little. At the moment of typing, the card is rock-solid at 1515/7500 Mhz. Temperatures are all well within limits, highest i've seen was about 74c. I replaced my Corsair H110i GT with custom water cooling, all from EKWB. I went for a EK supremacy MX cpu block, a 240 radiator in the top of the case and a pump/ress combo that i put in the rear chamber of the Carbide 540. Because of that, i had to find a spot to mount my HDD. Right now, i mounted my HDD in the 5.25 inch bay in the front, next to my fancontroller. To give it some room to breath, i made a grill/mesh that matches the rest of the case. I haven't seen the HDD get warmer than 35 degrees celcius so far. For now i went with a CPU loop only but i'm planning on getting a 360 radiator and a GPU block in the following weeks as well. Also considering to get another 980Ti right away as well, we will see. I added a couple more photos of my rig. Ordered an EKWB Titan-X waterblock for my GTX980Ti, a 360 radiator for the front and a dozen fittings/tubing. I'll be upgrading my build in the next couple days, progress will be posted here. Modded the case, completely re-did the loop and added a GPU waterblock and a triple radiator to it. Old photos replaced with recent ones. I am positive that keeping this PC outside will ruin it !! But really nice looking. I bet it performs even better than it looks. That's awesome. I hope you will be posting it? You'd have more to worry about than rust. The condensation alone after one night could possibly destroy it if you powered it on(which if you were "keeping it outside," it would eventually be powered on). Let's turn this power supply full of water on, and put power onto all of these wet electrical parts. Those red cables! So clean, so fresh, so sXe! Where did you get them? Clean build, perfect photos. I don't get the titanium comment though? Can you tell us about the performance with that i5-6600k? The build is only about a day old now, doing some overclocking as we speak. Currently "stable" at 4.5Ghz on 1.34v, still tweaking it and gonna have to let her run overnight to do some serious stress-testing. Gonna work my way up from there. Super clean and Skylake! Love it man! I'm actually giving that same motherboard away on our website this month! The mainboard is great, a ton of great features, rock-solid/stable and i love the aesthetics. Definitely recommend it to anyone. So, awesome give-away! You did some ultimate overclocking! You gained one full ghz! Been able to run benchmarks on 4.7Ghz yesterday, seemed pretty stable below 1.390v on the core. Haven't had the time to test complete stability yet but i believe i have a pretty decent chip. I'll do some more overclocking/stress testing in the next couple days. If you went for the Intel i7 6700k or another cpu with 4ghz standard, does that mean you can get something around 5ghz out of it? There is absolutely no guarantees when it comes to overclocking, it's all silicon lottery. However, since a i7 6700 has a higher default clock, it might be a bit easier getting closer to 5Ghz. Yeah, that's why chips are usually rated the way they are. That's the only thing they can "guarantee." You can get an ungodly holy-grail chip, one that you can only squeeze 200mhz in, or somewhere in the middle. very clean! i like it! forgot to mention, congrats on having the highest rating in all skylake builds here. good job man! Just wondering, what was the need for the sound card? Amazing build though! I am a music enthusiast and appreciate good quality music. With a good pair of headphones/monitors, a good sound card really makes a difference. 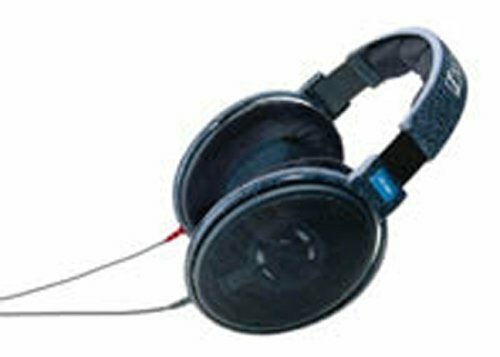 On my Sennheiser HD600 cans, this soundcard vs. on-board sound is like night and day. Whilst their new on-board sound is definitely better, a good quality stand-alone sound-card still sounds superior. I own Sennheiser HD598 cans with FiiO E17 external DAC goodness. 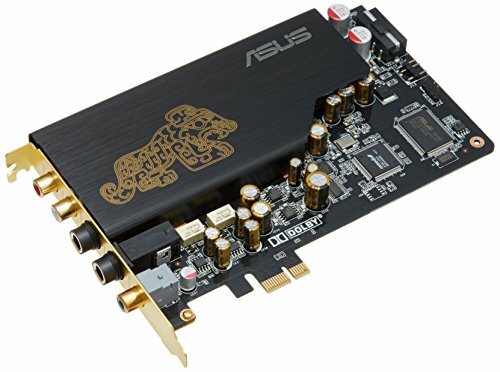 Would a sound card be necessary in a build like yours? Everything else looks like my wish list! This is a really nice build. Very well done and clean. I love the color scheme usage. There is a lot to be inspired by with this build, and a couple things will be in my next build thanks to this post. I love the cabling extensions, I might even try them in my current build as a side upgrade to get a feel. The amount of customization (especially the paint job) is awesome. Thanks man same to you. You knocked it out of the park man! That thing is gorgeous! That's why I'm copying it. I spent a lot of time trying to find the cable separators before I read the rest of the comments, so now I won't have to ask you about your CABLE COMBS again. LOL Thumbs up! Thanks for the information on your awesome cable management and extensions. Since there is a lot of interest in them and I am also buying some, I hope you don't care if I post some info on them. Thanks for the positive feedback guys, appreciated. nobody ever puts where their sleeved cables came from -_-. yours? I did consider an i7 6700k instead of the i5 6600k but for gaming -and that's what this rig is going to be for- an i5 will be perfectly fine. Hyper-threading is nice and i do believe more games are going to make use of it but for me it wasn't worth the premium price tag. With high-end headphones or monitors, this sound card definitely makes a difference, I love it. How do you like the Corsair Strafe? I am looking into getting a mechanical keyboard and I really like that one. I'm satisfied with the Strafe. The lack of RGB is no issue for me since i'm using a black/red kind of build anyway. I don't need all colors of the rainbow really. Anyways great build! Love the subtle but strong black and red accents, and how you didn't add red LED fans that give it an exaggerated look. I don't know how to phrase it but it just looks mature and sophisticated. I always ask when I see them, but did you sleeve the cables yourself? They look really good! I don't like LED and all the bling, always try to keep my builds as clean as possible. About the color, i tried focusing on the darker tones (different grey's and black). I didn't want the red to be overwhelming and only really used it to highlight things. I wanted to sleeve the cables myself in the first place but after seeing these cable extensions (Bitfenix Alchemy) in person, i figured i'm not getting into the hassle doing so. I am satisfied with the cabling. It really shows, I was also looking for pre-sleeved cables. I might look into them. But once again, great build! What are you using to spread and separate the ATX24 and PCIe power cables to make them look so clean and organized? Those are called cable combs, try googling on it. These cases are so beautiful. Plus, that nice 980 Ti <3. LOVE IT! love this case. for sure my next build is going in one of those! Great cabling job. I'm debating if i should buy some fancies power supply cables. Corsair Carbide 540 is a breeze to work with, the dual chamber makes cable management a lot easier and cleaner. Definitely recommend this case. What's that cover you have that hides the hdd's? It's a 3mm thick piece of plastic i cut out to -like you said- cover the ugly HDD drive trays. I have both my SSD and HDD mounted in the back of the case. So tell the truth, were you going to get the 6700K but got sick of how long we have to wait for it to be available here in Canada! Nah, i went for a i5 6600k straight away. An i7 with hyper-treading is nice and all but all i do is gaming on this rig. I understand some newer games are making use of hyper-treading more often nowadays but it wasn't worth the premium price tag for me. I rather spend that on other components honestly. Makes sense, I really should just get the 6600k as I am already going to spend more than I should but I am still rocking a Q9550 so who knows how long the 6700k will have to last me LOL. Have a question regarding the Corsair fans. I recently attempted to use them in my son's recent build and found them, shall we say, a tad difficult to install. Did you have the same issues and if so what did you find was a good work around? Specifcally I'm referring to the insanely hard plastic insert in the soft rubber anti-vibration insert. Every time I attempted to insert a screw the sort rubber insert torqued making installation all but impossible. I never really had an issue installing these Corsair fans. The first time you put a screw in them can be a little tough, i suggest putting a screw in before actually installing them into your system. The next time you put a screw in it, it will be a lot smoother. And don't be afraid to use some force while screwing it in, these fans can take a beating. Hi! can you tell me what is the name of those clips that you have used for cable management in 5th pic? They look pretty cool for cable management. The cable comb (as you mentioned in your earlier reply) that I am finding are pretty big. Can you drop a link from where did you brought? I am not 100% sure what clips you're referring to? My guess would be the cable combs, the black things in between my braided cables? I got them from a store here in Holland called Highflow. Go to www.highflow.nl and search for cable combs. No problem, good luck finding them. Such an amazing build! Love that mobo. Are you running stock fans on your cooler? If so, how are they? Thinking of getting this cooler and would really appreciate opinions! I am running the stock Corsair fans at the moment, yes. I gotta say they're pretty decent, they have good static pressure which is important for fans on a radiator. They only downside is that they can get pretty noisy on higher RPM. Not really an issue for me right now because i'm mostly running my H110i on quiet-mode, which is pretty quiet obviously. I only have my system for a couple days now, been doing some overclocking and gaming and i have never seen it pass 65 degrees Celsius. One side-note though, i haven't really been pushing the core voltage that much yet but i'm pretty sure it can hold even on 1.4v and perhaps a little higher. I'd say pull the trigger on it, i don't think you'll be disappointed. How well does that 980 ti perform? Noice build btw! The GTX 980Ti is great. Got one with an ASIC of 77.8% which is kind of high compared to some numbers i have seen on the net. 1500-1550 on the core-clock with ease. Runs every game at max settings on 2560x1440, except for AA which i don't need at that resolution anyway. Cool! Thnx. Heard this card is the sweet spot for 1440p. Yup, the card is holding up pretty well. I'm coming from a AMD HD7950 crossfire setup. Obviously this card destroys that setup in every aspect: Performance, temperature, noise and power usage. Lightbars on the Dominator Platinum RAM. More sleeved cabling and cable-combs. I added some pictures to the list. Newby question. Why do you have the fans installed against the case for the radiator instead of the radiator installed against the case then the fans? This question twists my brain every time i read it :D I am guessing you're trying to ask why i have setup my radiator/fans this way? Well, I'd like as much in-take as exhaust. The GTX980Ti non-reference is dumping all its heat into the case, having extra fans exhausting that heat helps keeping the case on acceptable temps. I tried putting them as in-take but the difference in temp is not worth the warmth, neither the dust build up. how did you get the case black? I got the complete black version and painted some parts "grey" myself. Very very nice build, but you could've gone X99 and gone with 32GB DDR4 at this price point. Amazing setup, a very tidy cabling .. thumbs up .. good job bro! Question, as I myself am going to be using the same case and MOBO...did you plug all of your fans into the headers on the board or are you using some controller in the back that we can't see? I am curious since I want a very clean appearance and want to minimize the amount of cable running into the front. Thanks! Just a quick question, where did you put your internal hard drive if it's not in those 3.5" bays? 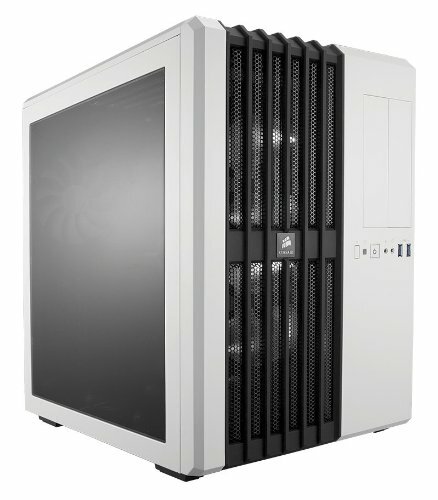 I just ordered the air 540 and personally, I think it would look ugly with the HDD in the front. I'm assuming you just put it in the back area with the PSU, but I'm not quite sure yet. Also, amazing build by the way! Yes, i did put the HDD drive(s) in the back of the case. Firmly attached it with some screws to the back-mesh of the case, doesn't wobble or anything. Works well for a couple years already now. Great build +1! I have a quick question for ya. Did you have any problems with your Ethernet port due to the Windows 10 Intel Ethernet drivers? No trouble at all, worked out of the box. Hey man, love the set up! Would you mind posting your OC setting to 4.5ghz? I'd love to get mine up there, but not really sure what setting would work the best. Thanks! My planned build is much the same, but it only costs about $1700. I believe the little odds-and-ends you added here, like extra fans, the sound card, and the more expensive case, made the total cost of your build leap. Oh, not to mention that video card. Why did you feel the need to get a sound card? This motherboard's integrated sound has great reviews. Nice build man! What did you cover the hd bays with?? How did you go about it? Looks clean. Been contemplating this case but that bottom part is kind a funky looking. Very handsome build. I agree with your stance on LEDs for this build. It has an outstanding contrast. What are your thoughts on the case? 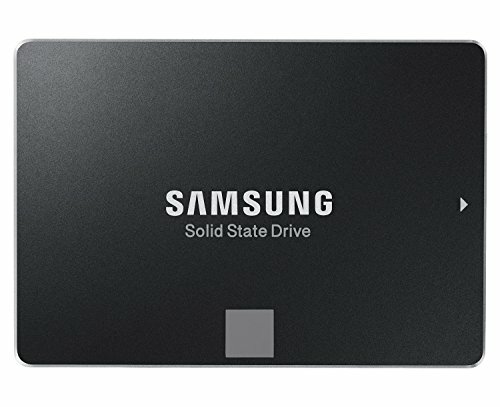 How many 3.5" HDD/2.5" SSD bays are there? I have this case for a couple years now, i'm very satisfied. 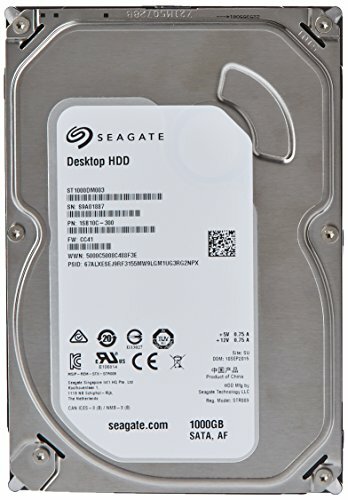 In case you want to go with a lot of HDD/SSD's, you might want to look at other cases. By default, there is space for 2 HDD's and a couple SSD's. Oh wow, that's kinda limiting. Luckily you can place SSDs pretty much anywhere you want, just tape 'em! Hey, I was wondering if you could tell me what cables you're using and that fancy little thing that holds the cables neatly in place. These are Bitfenix Alchemy extention cables, the "thingies" are called cable-combs. Ohhhhh! Thanks for replying I was really curious. Beautiful build man! 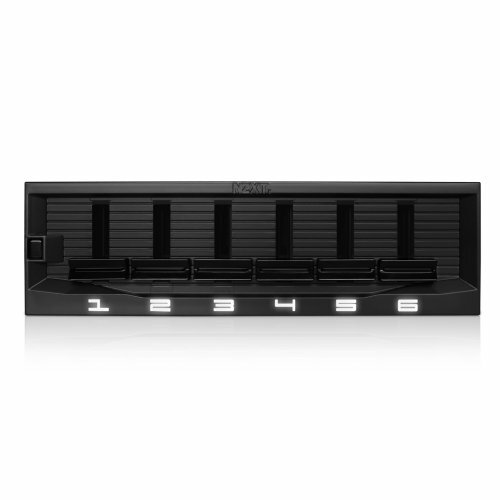 But what base plate do you have on top of the 3.5" hard drive slots? Makes it look even better. No issues at all, board is working like a charm. Did you encounter any issues with the build? I've heard a lot of unflattering review about this board and yet I'm about to purchase it for my next build. Thanks. that is the sexiest cable management i've ever seen. what are the metal looking brackets around the braided custom cables? They're called "cable-combs", i bought them in an online store here in Holland. The store is called Highflow. I am sure you can find them in any decent hardware store. WOW! that's the cleanest build I've ever seen. Great feedback on the parts you have used, what kind of gaming performance are you getting? I didn't read all the comments but have you got any benchmark numbers? You have reassured me that I've made the right choice for my CPU. Hopefully get the rest of my parts tomoz in time for xcom2. Why did you need two NZXT Sentry Mix 2 Fan Controllers? Phew, I was thinking, "I have five fans... and he has four fans.... and he has two controllers..... Do I need three controllers? But it says it controls up to 6 fans!? WHAT IS THIS!??" Anyway, thank you for clearing this up and thus assisting with my build. 3 Fan controllers for the win. Does the I5 6600k overclock easily? Every CPU is different, impossible to say that all these 6600k's overclock easily. You could be lucky and get a chip that overclocks really easy, or unlucky with a chip that barely reaches 4.4Ghz. It all comes down to silicon lottery. In general though, every 6600k should be able to reach 4.4Ghz without too much trouble. I'm curious, did you happen to buy those cable combs at a retail store near you or did you find them online? I like them because they look to be made well and you can just slip each wire into the corresponding slots, as you did. Its a very clean look. If you have any information on them I would be very interested. Great build, super clean, the upgraded loop is very nice as well. It was an edited version of my own stock BIOS. The editing is done with MaxwellBiosTweaker and the actually flashing with NVflash. There is a whole topic about it on www.overclock.net, including a guide etc. Just make sure, before you actually start flashing your BIOS, to have a copy of your stock BIOS saved somewhere. How's that PSU? I've heard mixed reviews on that company. These Super Flower Leadex PSU's are great, very very good units. The successful PSU line of EVGA, their G1 and G2 are re-branded Super Flower Leadex units as well. Excellent ripple suppression, stays cool at max load, Tight voltage regulation, Efficiant and excellent build quality. Can't go wrong with these Leadex models. Only thing i do not really like is the LED built into their cable connectors. Why didn't you add an Optical drive ?? Because i make zero use of a optical drive nowadays. I install my OS with a USB 3.0 thumb-drive and if i want to burn a dvd i just grab the laptop instead. The build got updated recently. Completely re-did the loop, added a GPU waterblock and a triple radiator. Replaced old picture with recent ones. How hard would it be to remove the "Armor" and paint it a different color? That's correct, i picked the "titanium" based on the color of the board/case. I believe Asus called the color titanium themselves as well. The rig is only up and running for about a day now, been doing some overclocking today and got her "stable" at 1.345v @ 4.5Ghz. Still some tweaking and stress-testing to do. The GTX 980Ti runs at about 1500mhz coreclock on stock voltage, an ASIC rating of 78%. But here as well, still a lot of fine-tuning to do in the next hours/days. Titanium is only around $3-$4 a pound. So, if it were solid titanium, with titanium fan blades, titanium buttons(lol?) and even if every component he put into it were solid titanium(which they aren't), he'd only get like $35 for the whole thing. But, it is just a color,which I'm sure you know... I just wanted to point out that titanium really isn't worth very much.